"This world could use a revolution..."
You awake in the oddest of places: a sidewalk, a crosswalk, a street. Lost, dazed, you wonder how you get there, but have no time to ponder when a "bing!" shouts from your pocket, specifically your phone. It reads a single message: "REACH 104. FAIL, AND FACE ERASURE." It's with those words that it begins. You have 7 days to save yourself. Will you? But there's far more to this story than a little mischievous game. This is Shibuya -- a gridlocked world of stomps and shocks, noise and haze. A world where everyone's selfish desires come into play, as if they are the only ones left in this world. A revolution is beginning in Shibuya, but not in the world above -- in the Underground. The Harriers have been on alert, the winged ones have been watching, and, with the beginning of this new Game, the riots have begin. Shibuya is changing, for better or worse, and it begins behind the scenes on the UG's stage with a drone of static and an innocent weapon. What will become of the Reapers' world and the wonderful world of reality? "...but is this the revolution you wanted?" Okies... I was going to start this RP months ago, I swear ;A; I had been stuck for the longest time on creating a more original storyline, but I ended up coming up with this. The "revolution" that is spoken of could be on the Players or on the Reapers' end. Or both! You guys get to choose. The concept is based on the O-Pins and Kitaniji's actions at the end of TWEWY, but it's also based on riots for freedom. While I do have that stuff in mind, there is nothing concrete and I left it vague on purpose -- the story will become more and more realized as the roleplay goes on. Kinda odd, but hopefully it's good and interesting! 1. Good literacy (grammar, punctuation, etc.) is a must! It does not have to be perfect -- as long as everyone can read what you're saying, it's fine! 4. Violence, blood, gore, cursing, blahblahblah, is fine -- as long as it's within the forum rules. I don't care if you use f-bombs, but the forum rules say otherwise. 5. No mary-sues/gary-stus! What are these, you ask? To Wikipedia! 6. The RP is always open -- don't ask to join! Just c'mon in! 7. Please be active! You're required to post 3 to 4 times per week! If you get busy, let the OOC thread know and, if you're REALLY busy, you can hand off your character(s) to another roleplayer or other roleplayers. Real life comes first, but, so long as the RP is active, we will be able to accommodate to you so that you can always come back. 9. Last, but certainly not least: HAVE FUN! :> I hope everyone enjoys the RP and has an awesome time! Congratulations! If you're reading this text message, then you have been elected to take part in the Reapers' Game. What is the Reapers' Game, you ask? run. don't look back. just run. you will not win, you will not get back what you have lost. no one wins. Each day, you will receive a new mission to complete and an elected amount of time to complete the mission. Should you fail to complete the mission within the time limit, well... that's unfortunate for you. If you do manage to complete the missions, congratulations! You are one step closer to winning the game. You may have also noticed that, upon beginning the game, you have received pins or another item. Since Noise inhabit the streets of Shibuya and are dangerous creatures, you have to have a way to protect yourself from these creatures. Using psychs, you can activate the pins to use certain attacks. On the other hand, you may have just received an item in which you can use psychs to activate generalized attacks. There's a catch, though: to fight in battles, you must have a partner. Go find someone and make a pact, before you're... well... It's better to just go find a partner. That's it, player! You now know everything that you need to know about the Reapers' Game. Should you have any questions, don't ask -- figure it out. Good luck in the game and may you be able to survive our challenge. A Note on Partners: This was a problem in the first TWEWY roleplay that I made, so this is (hopefully) a remedy to that. Should your partner leave or become inactive during the course of the RP, your character is not erased. They receive a temporary partner, which is just a Noise that aids them, until someone else can make a pact with them. If someone has become inactive for over two weeks, you are allowed to have a new partner. Likewise, you can go on without your partner if the story is moving on. It's better to work together, but the story does also need to keep moving forward. The partner thing is vital to the storyline like it is in the game, but is not vital to the RP itself (if that makes sense xD . A Note on Pins: You can use ANY pin in TWEWY, but you can also create new ones. If you create new ones, keep in mind that I will be checking to make sure that they're not overpowered and, if they are, you MUST change them or you will not be able to join the RP. Ah, you must be one of our new recruits. If so, welcome to the Reapers. You will be overseeing the Reapers' Game and I hope you will do well during this first game of ours. Your role as a Harrier Reaper is to erase Players to obtain points. You have two weeks to erase your first Player -- fail, and you will be subject to erasure. However, you cannot directly attack any Players and must use the Noise to erase Players. Each week, you will follow the orders of that week's Gamemaster, who issues the missions to the Players each day. As you gain points and prove yourself as a valuable asset to our organization, you may have the chance to rise in the rankings. The next rank that a Reaper can obtain is the rank of Officer, specifically as a Gamemaster. If you achieve this rank, you will issue missions each day, brief the Support Reapers on the positioning and rules for the Walls on that day, and will command the Harrier Reapers. At the end of the week, you will fight against the remaining Players, who must defeat you to win the game. Thank you for joining our ranks as a Reaper. We appreciate your service during this critical time in our world. Further info on the Reapers can be found over here: Yay more wiki pages! Shibuya is the setting of this game, specifically taking place in the UG -- the Underground. The world is divided into two realms: the RG (Realground) and the UG (Underground). Ordinary people live in the RG and go about their ordinary, day to day business day after day. However, those who inhabit the UG are quite different. This realm is inhabited by Reapers, previous players of the Reapers' Game who managed to win the battles that they faced, and is ruled by the Composer. Players are those once ordinary people who faced an unfortunate fate: death. While they may not realize it, they are fighting to regain their life and what they cherish the most. Should they win, they can go back home to that ordinary life, or they can gain a newer, better "life" as a Reaper. We'll start once we have a few Players and Reapers, specifically Gamemasters and a Conductor. Have fun, everyone! "The power is yet unknown." As a young boy, Gendou created two imaginary friends: A wild, unpredictable one named An and a calm, mature one named Dic. These friends were the type he was searching for, the type he lacked: one that he could depend on. He kept these friends up through the seventh grade, which is when his mother intervened. It wasn't "normal" for someone Gendou's age to have imaginary friend and she told him that An and Dic had to go back to their home: Gendou's mind. And so, Gendou's mother sent his imaginary friends home. It took him quite a while to get over them, but Gendou was able to eventually lead a more normal life. While Gendou no longer relies on these pins for attacking, he still keeps his six Darklit Planet pins from his days as a player as a form of good luck. Because of this, or so he believes, he has yet to loose a battle. Gendou has a bit of a soft spot for sweets. i have no time for this. orz but... what da heckkk. holdonholdonholdon. lemme just... get caught up with real life and other rps and stuff before I finish my temp. revolution? yus, Kam would probs approve of this. she would most definitely approve of this. "The power is yet unknown!" Kam has the ability to create small, emerald colored flames that resemble will-o-wisps Kam can control the flames at will, and the flames can range from a confined, warm flicker to a fiery blaze. Her will-o-wisps can also take the form of Noise. These ‘Noise’ are nothing but a mere ruse – they are not the real things, therefore their erasure is quite an easy task to accomplish. But Kam’s ability to summon stronger Noise with her will-o-wisps can create an overwhelming challenge for the Players; she has even been known to create ruse Noise similar to that of her Noise form. Vulpus Cantus - Kam's Noise form is that of an emerald colored fox with golden eyes. The color of her belly is a bit of a moss green, but her front and hind legs have a darker shade of green. Emerald colored tattoos form the fox’s three large tails. Her front paws are also made up of green tattoos that swivel around her forepaws, making the tattoo designs look similar to green flames. The most distinct feature is her long claws, made from the same tattoos placed all on her body. While in this form, Kam can still summon ruse Noise and is still in control of her will-o-wisp ability. She also becomes more agile and cunning, and her long claws become useful for delivering stealthy blows to her opponent. Her tails have a special purpose. In the event that Kam retrieves all of her nine tails, her Noise features change dramatically. In replacement of her green fur and tattoos, her coat becomes a creamy white and the tattoos inscribed on her body turn gold and red. A white mask that resembles the face of a fox takes up half of the Kam’s face, and the red skeletal tattoos designed on the cover makes it bear a strong resemblance to a kitsune mask. Several narrow sharp points resembling spikes protrude from the end of the mask in different directions. The red points stretch over Kam’s head and slightly curl inward at the tips. It’s unknown how her abilities advance when she reaches this form, or even if she has any abilities while in this state. Slightly above average length for a young adult woman her age, and a skin complexion slightly on the pale side, and hazel-ish eyes. She’s actually not a bad looking girl, has an appealing face–too bad she’s yet to realize the art of good grooming. An uncombed mass of black hair that looks in dire need of a brush sits atop her head and falls lazily just above her eyes. Running down her back in jagged strands, it’s evident her neglected hair hasn’t seen a proper trim in ages. Her threads consist of a gray, graphic hoodie with the large words ‘Ave Maria’ scrawled in black writing on the front. Several sizes too big for her, it forever hanging loosely off her frame–it practically stops just a bit above her knees. The zipper is pulled down slightly, revealing just a smidgen of her undershirt and white fur-like material that makes up the inside of the sweater. Not that one can even see them between her over-sized hoodie and hi-top sneakers, but her black jeans are slashed with rips, every which way. It’s obvious Kam has no concept of the idea that they're certain clothes that do nothing to flatter the female body. For kicks, Kam settles for regular black hi-top-sneakers. These, however, are sorta nifty. With a simple flick from her foot, wheels on the bottom of the soles eject–and, voila, sneaker-skates! She takes advantage of this nifty mechanism quite often, usually skating around in them whenever walking becomes too much of a hassle. Around her neck she wears several necklaces adorned with small charms that resemble crosses. She prefers to go with her own flow, mind her own you know? Even if that ‘flow’ constitutes nothing but loathing about and venturing out into the Shibuya streets. Even with the companionship shared by the Reapers (really, if you can even call the Reapers’ ambiguous relationship something so disgustingly congenial) Kam is still unused to the limitations of other’s with dissimilar views and goals, but that’s not to say she completely rejects acquiring acquaintances. But really, these acquaintances are only gathered for her own benefit and amusement–playmates are all they are. Something to keep her mind busy and fend off her endless ennui. It’s safe to say she has serious lack of motivation–a lack of faith–for anything that does not concern her well-being or her interests; it’s no wonder she has a strong dislike for dire situations that call for to relinquish her easy-going persona. Possessive and loyal of her dearest belongings, she turns aggressive with such matters concerning items she’s fond of (then again there’s little she values as much as her own life, aside from her candy). Easy to irritate yet hard to anger, it’s nearly impossible to get her riled to a frenzy. If you manage to shake her voice out of its usual monotone timbre, congratulations–you’re one of the rare few! But seriously. Avoid getting Kam on her bad-side. Rare for her to ever get to this point, but she has a hard time letting go whatever pissed her off, and she can be quite vindictive. Though not particularly outspoken, she's very direct with her words. Ask for her opinion, and she’ll give it to you straight. However, she rarely has an audience to share her opinions with, as her ever-present poker-face tends to make little children shudder and keep strangers a good distance. She’s not pissed all the time, just that lately the usually tang and spice of life has all but dulled to a bland flavor. Recently, Shikishima’s just been flat-out bored with life. Pops was supposed to do many things, great things. He’d always told her that. Born Kamiya Maria Shikishima to humble man Koji Shikishima and Christian missionary Maria Greene, Kam was raised by her father at an early due to her mother’s premature death, and had not the luxury of acceptance from her Japanese relatives. Immediately the father and daughter were ostracized by both sides of their family–the Shikishimas, who loathe their son since his betrothal to another as opposed to his arranged fiancé; and the Greenes, who, incensed by the death of their daughter, believed her suicide to be indirectly the doing of Koji. In actuality, it was the never-ending struggle for her sanity in a sinful world which drove the young woman to take her own life. Now, Kam would love to say her mother’s passing was a devastating blow to her psyche and whatnot, but honestly, Kam was too young to even walk on her own two back then, let alone recognize the kindling feud within her family. Sure, she did wander about the mother her father would coo about, and there was a spark of jealousy at the little girls who dallied with their own grandmothers and grandfathers. But buckle under self-doubt? Succumb to depression? Wallow in her woes? No no, not her. She’d no time for it, not when there was no shortage of missionary work by her father. While he set out to accomplish the work his wife never could complete, around the same time rolled up his sleeves and took it upon himself to raise his own child. After all, it was his moral obligation to continue on with her missionary work. He was sent to do many things, great things. It wasn’t long before Koji established a faithful, yet small following in the outskirts of Shibuya, and with the building of that following beget the establishment of a small church. Of course, everyone praised Koji Shikishima. A great man sent by God to do great things, many things. So, of course, people were often surprised to discover the otherwise deviant manner in which Koji’s young child managed herself. To be honest, Kam wasn’t too strict about the religious scene as her prudish father, every so often sneaking out of lessons and sermons for alternative fun with the other children…But. Hell, it did give her something to hold on to, some hope, some faith. And she couldn’t completely rebel against her father even if she tried. Because she loved her father; everyone loved her father. Everyone said her father was a great man sent by God. Everyone said he was sent to do many things, great things. An overall obedient girl and generally faithful, one would think she’d be the miracle case heard about so many times in testimonials, one of the faithful whose esteemed faith prevailed in the end. But no. No divine intervention came to her Father’s rescue when his teachings deviated and evolved into an outright radical cult within the small community. No such divine intervention saved the community from becoming mindless disciples who obeyed her father down to his very last words: “Drink.” And no divine intervention dawned on Kam when she had put the drink to her lips, innocent to what exactly her father and the elders meant by the great cause they were undertaking. But she couldn’t refuse father. After all, Pops was a great man sent by God. He did many things, great things. No, no such divine intervention saved any of them when they all fell minutes later, eighty-eight lives taken with the poisonous swig of the drink. They all fell in the name of war against a sinful world, the very same war Maria Greene waged thirteen years earlier. But Kam was offered a second-chance. A second chance at life, a second chance at the living world… Well, sort of living. - Her last name, Shikishima, takes after the name of a Japanese battleship class. -She had many dreams of a future outside the Church growing up. One such serious dream was becoming a musician, but those were pretty much scrapped early on due to her pious dad being pious. Being a choirgirl was out of the option; she couldn’t keep a note to save her life, much preferred the scratching of discs and the jazzy rumble-n-thrum of the double bass strings beneath her fingers. Yeah, she had serious dreams at one point. But again. Pious pops being pious. - She likes to skate around when picking up her legs becomes too much of a hassle, not matter how inappropriate the timing. Walking is too mainstream anyway. - Her candy is srs bsns. If she offers you a lollipop, think of it as a token of her friendship. Her secret stash has yet to be discovered by anyone. Anyone. - She has a tendency to mutter ‘Mercy’ and ‘Christ’ in times of distress; albeit distant from her religious roots since her death, she hasn’t completely relinquished her faith in some other higher being and higher plane of living. One would think her time in the Reaper’s Game would put an end to any of that silly mess. And nothing good came out of such religious belief, anyway. But. Call it a private longing of something other than the shackles of Reaperhood that beckons her to privately believe in such ridiculous folly. Kkl would like to request the Conductor position if that is all right Rena- chan. Which will be the only character I'll have to keep up with your post requirements. YESSSSSSSSSSSSSSSS this will be awesome. Reserve! The power is yet unknown! Andre is at your average height for a fifteen year old, at about 5’6’’ more or less. It is evident he has an African American background, as evidenced by his bronzed skin. He has a buzzcut hairstyle where his left side is cut into a pattern of two simple lines parallel lines with the bottom longer than the top, and prominent light hazel eyes that are usually a light green. He wears a dark red, sleeveless hoodie where the hood is usually up, showing just a bit of his haircut. The hoodie is unzipped, where underneath is a white t-shirt with two parallel large, bold, black X’s on the torso area as well as a line and “U” connecting to it, resembling a tongue sticking out. 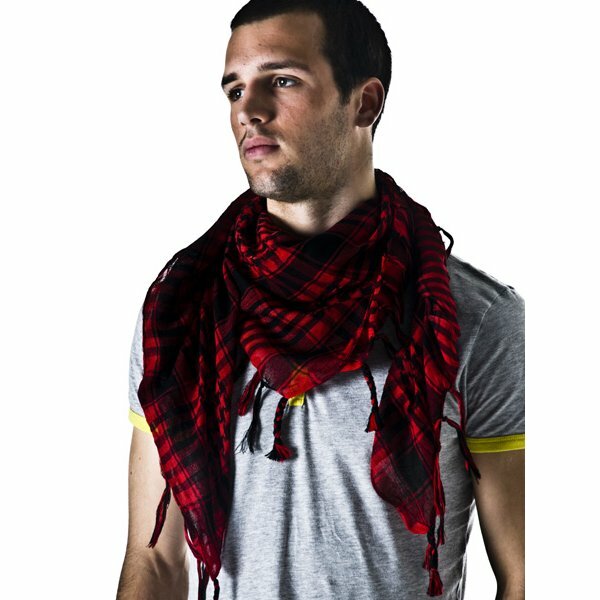 He also dons a thin black and red scarf which he wears around his neck. He wears black-grey form fitting jeans that are still fading, that has a wallet chain hanging from the left pocket. He wears black high top sneakers with red shoelaces. He wears one small stud earring of a cartoon skull on his right earlobe. Andre is a respectable youth for the most part, with a love for rap music and graffiti. He also has a tendency to become a scrappy individual with a hot temper, a feiry resolve, and a perservering nature. He has a tendency to be oblivious of most critical situations outside things that either anger him or have to do with his artistic interests. For example, he probably won’t be aware that his life is in danger until it become immediately apparent, or he will totally miss any type of romantic advance, flirtation, or crush gestures or actions. This type of naivete probably led him to the situation he is in now. He also harbors a deep self-hatred that stems from his past and mistakes he’s made as a person. He often never shows this side, and in fact, likes the company of others so that it distracts from him being by himself with his own thoughts. Thus he tries to make a lot of friends, and is more or less successful. In light of this, Andre harbors a deep moral code and immediately challenges anything he finds unrighteous or wrong and will fight until that wrong is righted. He values friends and friendships deeply, and doesn’t very much like authority. A rebel at heart, he cannot stand being told what to do and enjoys helping people. He is very patient when it comes to things other than fighting and will take time to enjoy his surroundings or when it comes to helping people. He is one to see things through to the end. Andre is probably so skinny because his metabolism is just the fastest thing in the universe. Seriously. Do not bring food around him. He will want some. And he will probably eat it too. I’m not kidding. Andre Jackson was born into the middle class family of Andre Jackson Sr. and Angela Shizuka (whom one of her parents were Japanese) in Shibuya, through a suggestion of Andre’s grandmother (who lives there) that the family move to Japan in favor of a better life for Andre rather than the ghetto of Los Angeles, California. As such, it is not very common for African Americans to be spotted in Japan, making Andre and his family very easy to target in more ways than one. However, Andre began to grow tired of the bullying, and began to follow in the footsteps of his father and started getting into fights at school, as well as becoming involved in underground gang wars, just to make sure he wasn’t bullied anymore. However, his gang activity made him a target as well as those around him and his grandmother was attacked and hospitalized. After this, he made a promise to himself to turn his life around, and become a better person for his family. Especially because he had a growing little brother and that kid needed someone to look up to. He made it a point to make sure Bishop never followed in the steps of him or his father. His little brother became the most important thing in the world to him. His father lost his job, and soon the family began to struggle financially. Andre tried to keep a good disposition and successfully got out of the gang he was involved with as well as trying to reconcile with those around him. Andre had to get a job to keep cash flow running in the house so his family wouldn’t be homeless and quickly found a job at Towa Records. However, this location was quite a ways from his house, and he had to work longer hours in order to try to get more money for his family. But all was well. He had friends, went to school, sometimes Bishop would visit him at his job and he would show him music to listen to. It wouldn’t last. When he awoke he was unscathed. And was at…The Scramble? Andre is 75% African American and 25% Japanese. Other nicknames include “A-Jax”, “Apple Jacks”, “Detergent” and “Fresh” though he rather hates the last three. Jax (as noted by his Pin List) is more of an up close and in your face fighter, preferring to use more physical based pins than elemental pins or long range, making him more of a medium and close range fighter. His fighting style consists of quick, physical attacks to try to wear out the opponent and attack relentlessly. Street Jam: LIVE! [Tigre Punks] –Andre’s variation is he actually raps into a mic while the speakers are blasting music in the background and the combination of the two add additional damage. TR: XD no my dear there quiet alright its just for me multiple characters like what I am doing in Traces require me to plan out a lot of things... if I just stick to one or two i'll be fine. With that I'll have the template up tomorrow night. Sent you a visitor message, Rena. A reply would be appreciated before I commence character creation. I'll have my template for the conductor up Sunday.... I haven't forgotten just.... character creating from scratch.... something I havent done in months XD. I plan on finishing this weekend-notice I've been working on it little by little! Have only her abilities and Noise form to work on. I'm... I'm trying to come up with something fresh, but I just might end up doing some recycling. Pretty much the same bio and everything as the character I made for another TWEWY roleplay that hasn't gotten started yet... ([One Day]) and I'm not sure if it will, so here she is. "That power is yet unknown!" Yukira stands at about 5’4’’ with brown hair reaching to her shoulders when loose. She has hazel colored eyes and has a healthy body with slightly tanned skin from working outside in the sun so much. She dresses very simply, and is seen to be a bit of a tomboy, although she does have her own feminine interests. Though it's not too apparent, she has lean muscles in her arms, and is pretty athletic for her size. Her brown hair is usually up in a high ponytail since she is often too lazy or doesn't care enough to do anything else with it, and she’s dressed in simple jeans and white t-shirt. She wears flexible tennis shoes that allow for quick and easy movement, and also owns a pair of brown gloves she used to wear for work back when she was alive- in Shibuya, she prefers to have them on when in combat and using her pins. When around others, she tries to keep up a cheerful facade, putting a big smile on her face. Though her eyes now carry a very dazed look that reflects her own confused feelings. Despite this, she hasn't lost her good character and willingness to help others. She’s willing to help other players win the game and return to their own lives, and when she sets her mind to something, determination takes over. A tomboy in many senses, she is quite fit, and has some skill and strength from doing heavy duty work when she was still alive. She also prefers to assess situations before jumping into action- which often causes her to be uncomfortable in unplanned or spontaneous situations. Everything was blank after that, and she woke up in a strange, white world, approached by a man who explained the game to her. In return for what she held dearest, she had the chance to return to life. Instantly, she accepted, determined to return to her family, unaware of what “giving up what she held dearest” would mean, and how that would affect her in the weeks to come. Come on, Rhaps, we're all waiting for you. Sorry, sorry, everyone! I was at a con all weekend; I just found the time to get on this. Anyway, yeeeah, think I'm gonna go with plan b and just copy-paste earlier versions of Kammie's Noise form and ability onto this roleplay. If anything new comes up, I'll give a warning. okay so I lied, Jax wont be up untilllll next week! Appearance: 5'2, skinny/curvy build. longish Black hair, neon green eyes, light skin. his eyes are big, with long eyelashes. Wears a turquoise gas mask that covers his mouth and nose. Wears a grey hoodie with a crimson tee under. His jeans are darkly dyed and stained with paint. He sports a belt that allows him to carry 5 different colors of spray paint (blue, green, yellow, red, white, black.) the black knee-high boots he wears have belts where he keeps spray guns, one for each leg. He wears a chain with a bullet, two dog tags, and a few different-colored soda-can tabs. Personality: although he cannot express it with his face, Nivis can still feel emotions, and he makes sure to make the people around him know it. no matter how loud he makes it out to be. He really isn’t able to shut up, talks too much sometimes, and when he does talk, he’s loud about it. when he’s not talking someone’s ear off, he’s probably staining walls with graffiti. He’s artistic and likes bragging about it. the kind of guy that if he stays quiet, you know something is wrong. He’s usually very upbeat and optimistic, and will not hesitate to ask for help. Fond of making friends. he makes blunt jokes out of everything, and even makes some dirty ones too. loving, smart, witty, and charismatic. Bio: Nivis was born and raised in the poorer side of Shibuya. His childhood was a good one, he didn’t have the most high-tech toys, but he never complained. his father was a garbage man, his mom was never able to find a job. when he turned 12 he started making works of art and selling them for whatever amount of yen he could. He was grateful to go to one of the best schools in the district, under a scholarship. He didn’t like people knowing he was poor, since mostly everyone in the prestigious school was rich.he liked blaming his scruffiness, tattered clothes, and dirtiness on his art, graffiti. on his 13th birthday, when he was about to get an award for his exceptional school records and amazing works of art. a school shooting breaks out. 13 people died, but he didn't care about the other 11, both of his parents died. the traumatic experience was enough to get him to drop out of school. he was adopted by a kind man. at the age of 15 he ran away, never to come back to his loving new adoptive parent, and spent a year living on the streets, covering the walls of his old neighborhood with tributes to his parents, and messages of peace. Nivis was arrested several times for destruction of property/ "being awesome" as he puts it. He didn’t cover his mouth/nose when he used the paints though, which ultimately led to his death. Dumb move for a smart kid. other: The gas mask was forced onto his face by the reapers so people are not able to distinguish his facial expressions. also they're making some kind of ironic joke about the mask. since if he had been wearing one in the first place when he was alive, he wouldn't be in the situation. he can't take off the mask. due to his height and body type, he is mistaken for a girl way too often. he hates it.